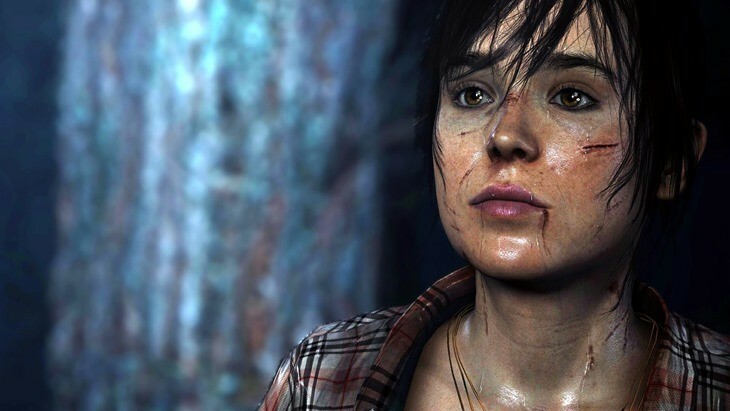 The upcoming David Cage penned title, Beyond: Two Souls, is an official selection in the Tribeca Film Festival which is quite a feat. So in celebration of that Sony has put together what appears to be a bootlegged, off screen, leak of the experience which has been put together really well. It’s quite the accomplishment for a game to break into an artsy film festival so congratulations to the team behind Beyond: Two Souls and I look forward to hearing a lot more about this game in the coming week. I suspect it will have a decent showing at E3 later this year so stay tuned to hear all about that. Side note… the graphics in these games are getting better and better as we go and the latest improvements are focussing on the smaller things like hair physics and water physics but there is still one thing that always irritates me. If you click the header image it will embiggen itself, then take a look at how well the face is rendered, along with the scars and wounds.. great right? Then look at the necklace and how terribly it is lying around the neck. Yes it’s great that we are now whining about such a small issue but for some reason it just irritates me. Am I forever alone with this gripe? Previous article Extras! Lone Ranger is going to be an uncle, Bishop and Warpath join the X-Men, Shane Black will be going savage, John Woo has some epic flying tigers, Guillermo Del Toro makes another monster, and Dave Franco and Christopher Mintz-Plasse are so [email protected]#$ing hot! Plus much more!